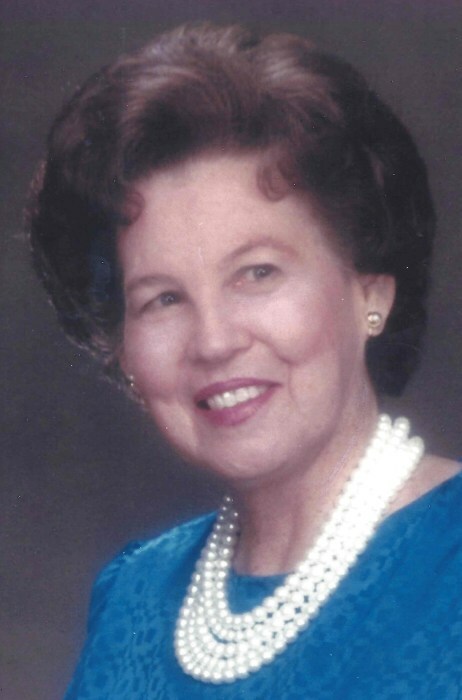 Marion Louise (Stokes) Sanders, 93, of Bluffton, SC passed away peacefully after a brief illness Friday, April 12, 2019 at Canterfield of Bluffton. She was predeceased by her loving husband, Robert Myric “Mike” Sanders, who passed away August 30, 2018. Mrs. Sanders was born January 8, 1926 in Frostproof, FL to the late Daniel Webster and Bertha Mae (Connell) Stokes. She was the granddaughter of Burrell Thomas and Levicy (Altman) Stokes. The Florida Genealogical Society has recognized Burrell T. Stokes (1817-1865) as a Florida State Pioneer; a native of South Carolina, he settled shortly after 1838 in Florida, and served in both the Indian Wars and the Civil War. Mrs. Sanders’ father, “Dan” Stokes (1860-1928) himself contributed to the pioneer settlement of central Florida in and around Polk County. Mrs. Sanders attended elementary schools in Canal Point and Haines City before graduating from Pahokee High School in 1945. She married Robert “Mike” Sanders on June 15, 1947, and enjoyed 71 years together before his death. Her professional life included clerical and managerial positions in the agricultural and medical fields. In the early 1970s Mrs. Sanders particularly delighted in her modeling which included commercial advertisements and fashion shows in the Palm Beaches. Together Mr. and Mrs. Sanders were successful ranchers and then became ACE Hardware retailers in Palm Beach County., FL, retiring in 1989. They relocated to Sun City Hilton Head in Bluffton, SC in 2008 to be nearer to their son and his family. Throughout her life and in all ways, “Mama” exhibited unparalleled devotion to her family and friends. She treasured every moment she shared with family, particularly those with her son, grandchildren and great grandchildren. Her family was blessed with her unwavering support and unconditional love. As a mother, she was dedicated to supporting each and every scholastic and athletic activity of her very active son, Michael. Without question she continued this devotion, if not in person, certainly in spirit with her two cherished grandchildren and four great grandchildren. At one time or another, Mrs. Sanders enjoyed a variety of activities herself—baking, gardening, knitting, reading, jigsaw puzzles, family history. Together with her husband they traveled in the United States, Europe and even to St. John, USVI for the wedding of their youngest granddaughter. Mrs. Sanders had an absolute and abiding trust and faith in God which gave her the inner strength and positive attitude to face life’s challenges. Her sweet, infectious smile and appreciation of others will be lasting memories for all who knew and loved her. In addition to her husband and her parents, Mrs. Sanders was predeceased by three siblings—William Lovell, D. W. Stokes II, Marie (Stokes) Blackwell. “Mama” is survived by her only child, Michael (Cassie) of Bluffton, SC; her two granddaughters, Kimberly Mcdonald of Columbia, SC and Jennifer (Darian) Anderson of Parker, CO; and, her great grandchildren, Peyton & Jack Mcdonald and Ashton & Joseph Anderson. Mrs. Sanders is also survived by her two beloved brothers—Woodrow Lovell (100 years old), Charles Stokes (90 years old) and his wife, Virginia—as well as many dear nieces and nephews. A family service will be held Tuesday, April 16, 2019 at Royal Palm Memorial Gardens and Mausoleum, West Palm Beach, FL. Reverend David Broadbent will officiate. Mrs. Sanders highly regarded all of her relationships—her Jupiter, FL friends (especially, Marie & her family), her Sun City Hilton Head Springhill neighbors (especially, Deanna & George, Margie & Bill, Debbie ) and all of her new friends at Canterfield of Bluffton—who showed extraordinary kindness and generosity of spirit to her. A heartfelt thanks to Canterfield of Bluffton staff during her entire residency and to Tidewater Hospice (especially, Gayle and Lisa) for their loving care. The family also wishes to express our sincere appreciation to Sauls Funeral Home for their invaluable assistance and comfort.